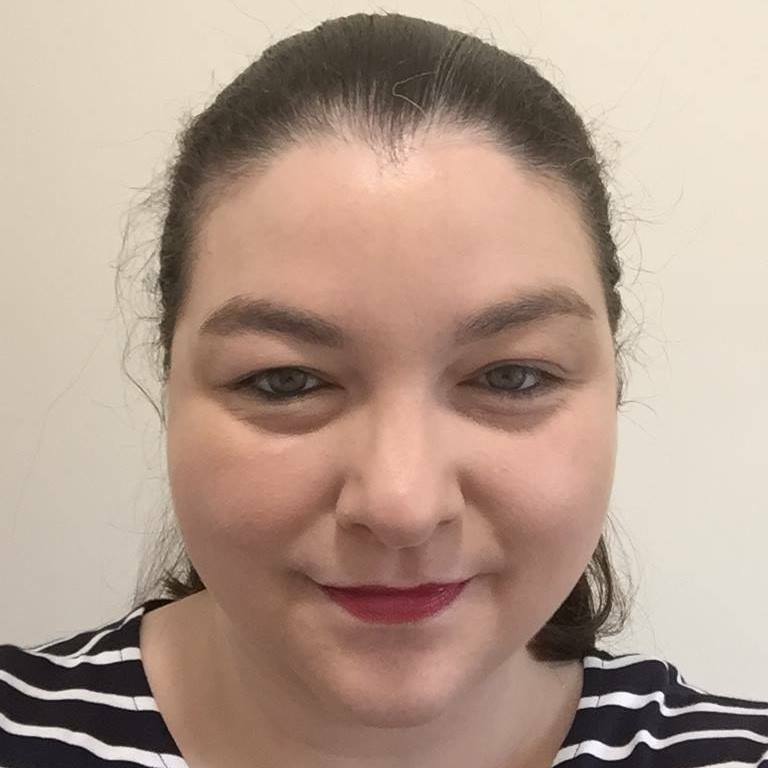 Although we don’t eat out as a family as often as I would like it’s something that we all really enjoy. At home we always eat together around the table but there’s something extra special about dining out as a family. 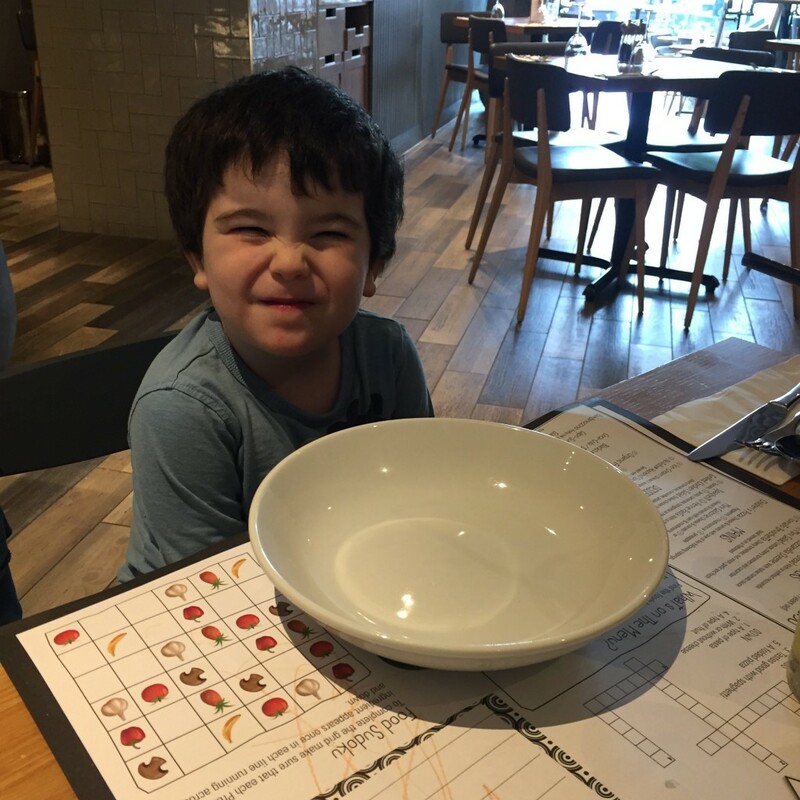 Prezzo and BritMums invited us to take on the #PrezzoLaFamiglia challenge and we were more than happy to accept. 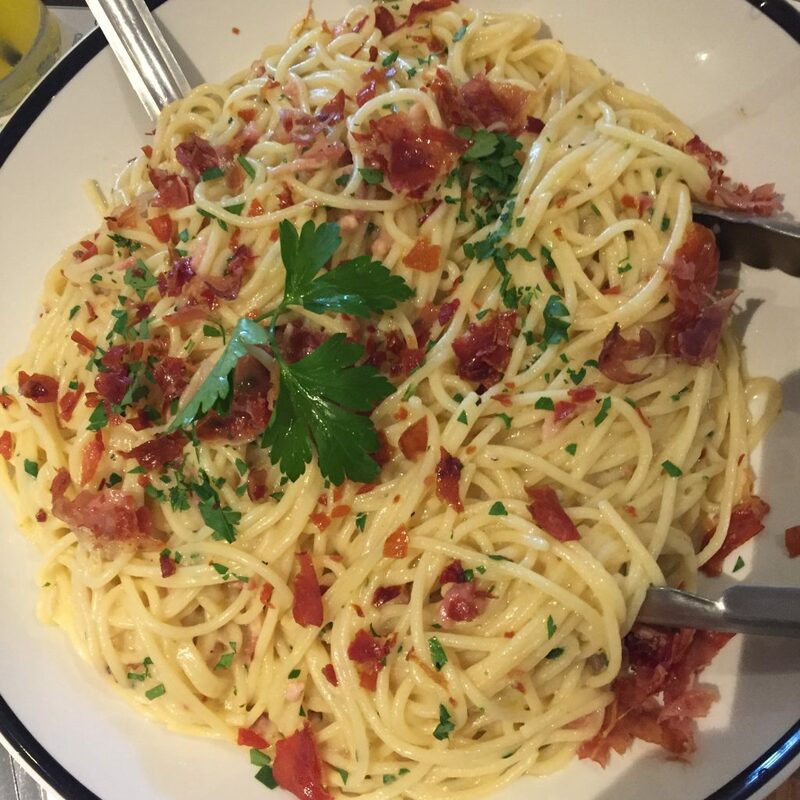 The new La Famiglia dish is ideal for sharing, it’s big enough to fill up four people. 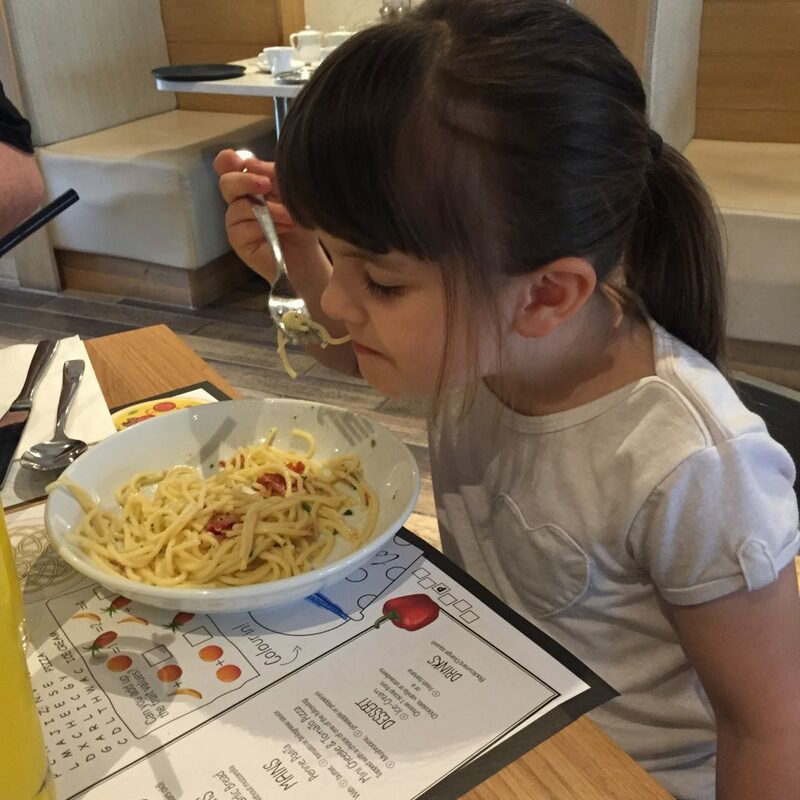 You can choose from Penne Arrabiata, Spaghetti Bolognese, Spaghetti Carbonara or Penne Alla Rusticana. 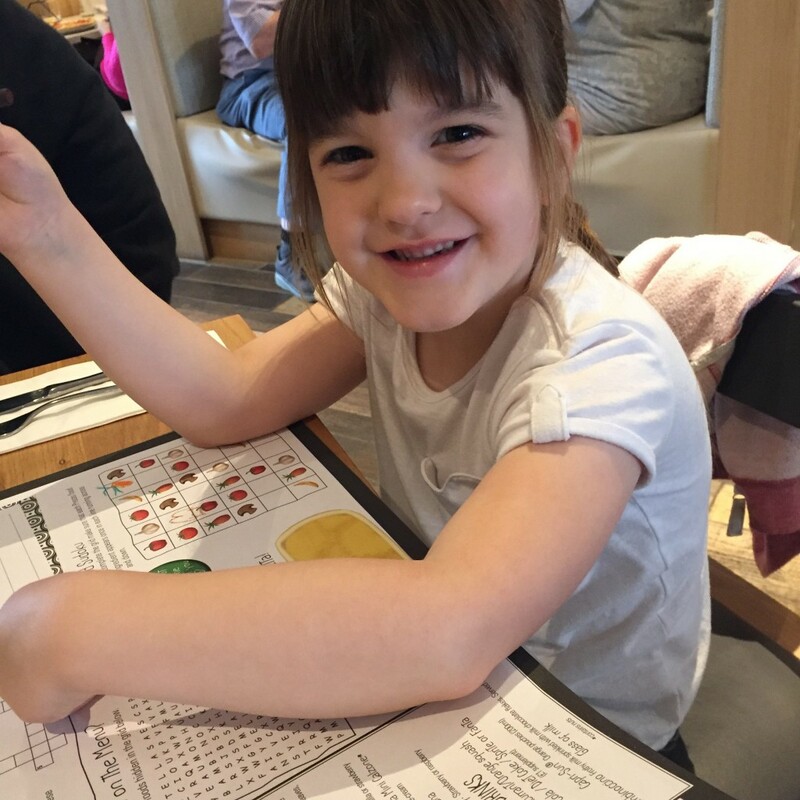 We chose to visit our local Warrington branch of Prezzo which is conveniently situated in the town centre. We were given a very warm welcome and found the restaurant to be modern and spacious inside. 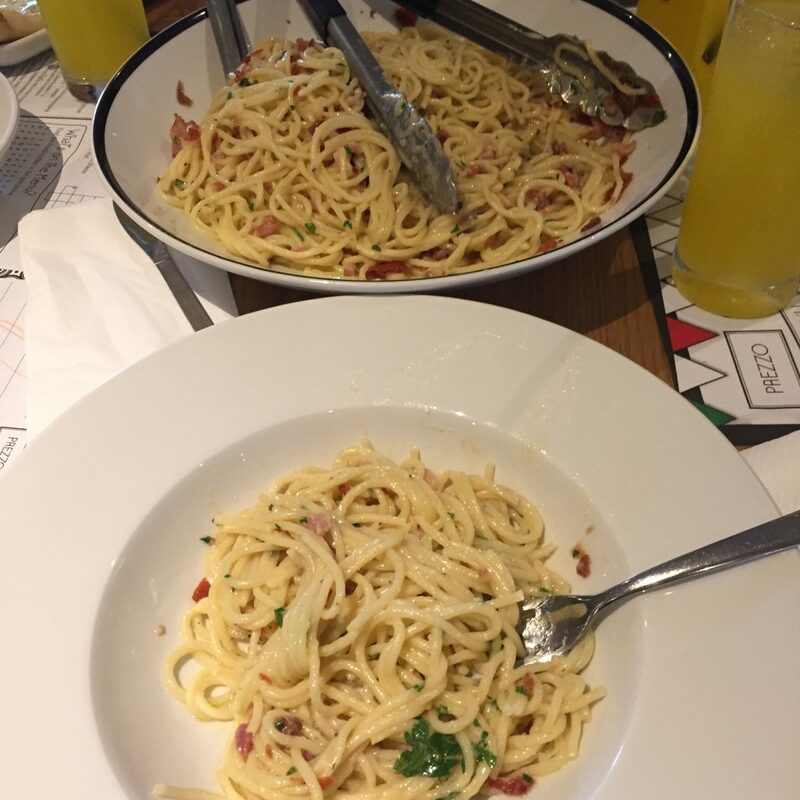 Once seated we ordered our drinks and chose the Spaghetti Carbonara as our sharing dish with a side of garlic bread with cheese. The kids enjoyed colouring in their placemats while we waited. Chris and I sat back and looked forward to our meal. There’s nothing better than getting everyone together around a table to share a meal. With life being so busy it’s lovely to just take a moment and enjoy each others company and of course a delicious meal. I like the idea of choosing one dish that all the family can share, it takes the stress away from deciding what to order. Also I love the idea of serving everyone from one big dish. I am definitely a sharer, I can’t remember the last time I ate anything totally to myself. I like to make sure everyone gets a bite, Jake takes after me too. Daisy and Daddy like to share too although things can get heated over the last piece of garlic bread ! The food arrived really quickly which is always a bonus when dining with little ones. 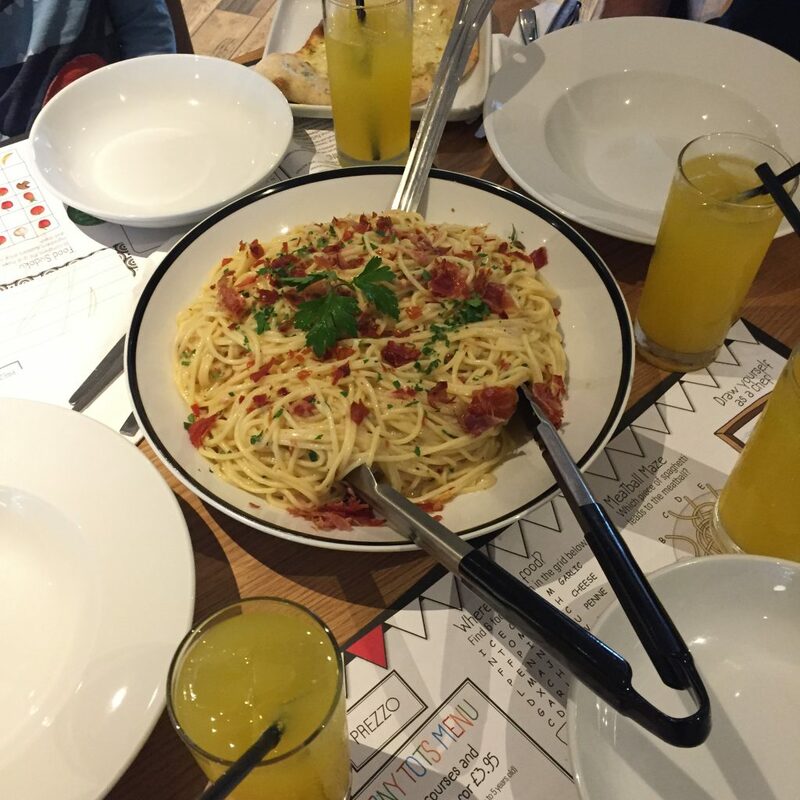 Our huge la Famiglia dish of Spaghetti Carbonara and was placed in the centre of the table. It looked absolutely delicious and smelled so good. 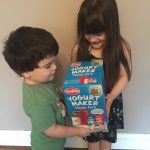 It was so much fun digging into the bowl, the kids loved that they could serve themselves. Our dish was even more delicious than it looked and none of us could resist a second bowl. 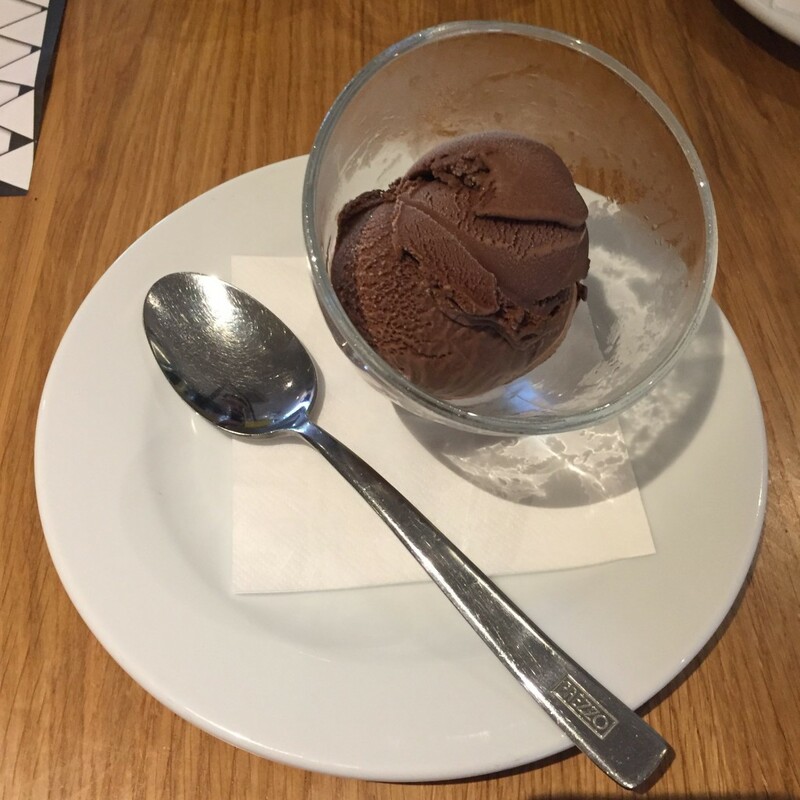 Although our tummies were full with pasta and garlic bread we still all had room for dessert. We all had ice-cream. 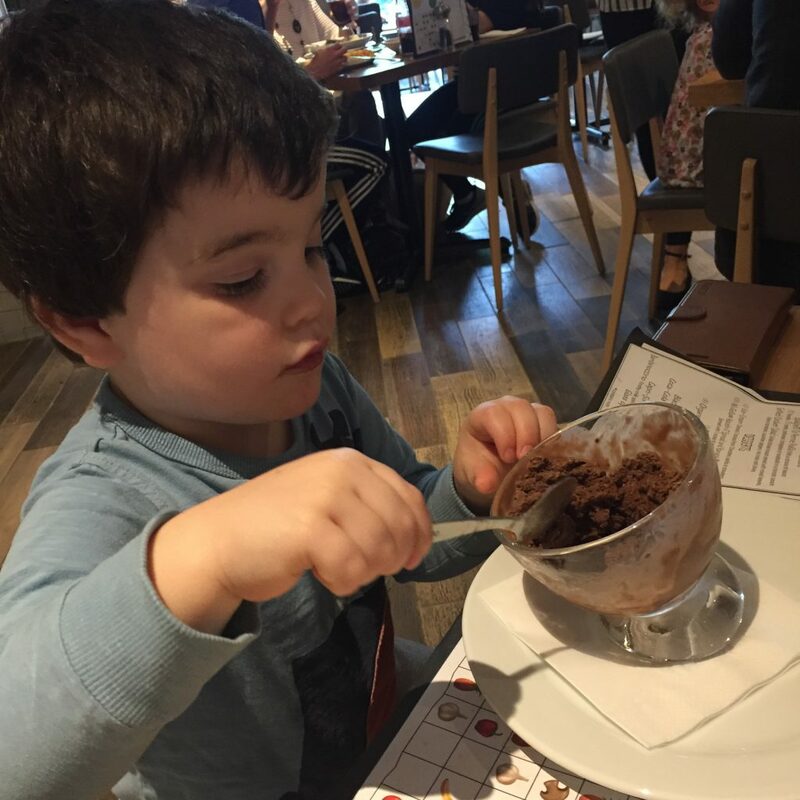 Jake chose chocolate as that’s his ultimate favourite. Daisy chose strawberry and Chris and I went for a more sophisticated salted chocolate. 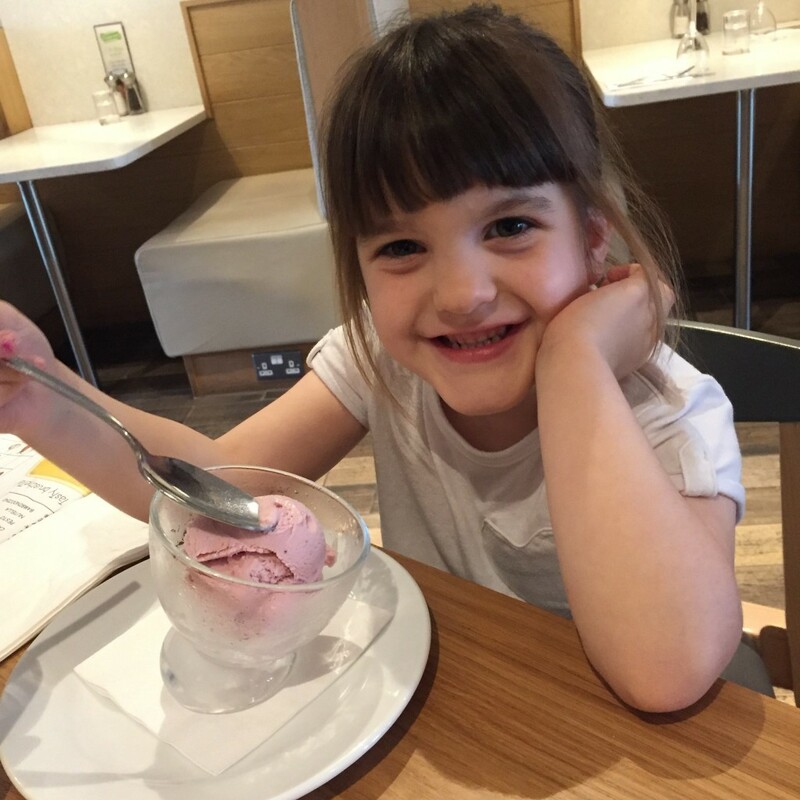 The ice-cream was the perfect end to a delicious family meal. 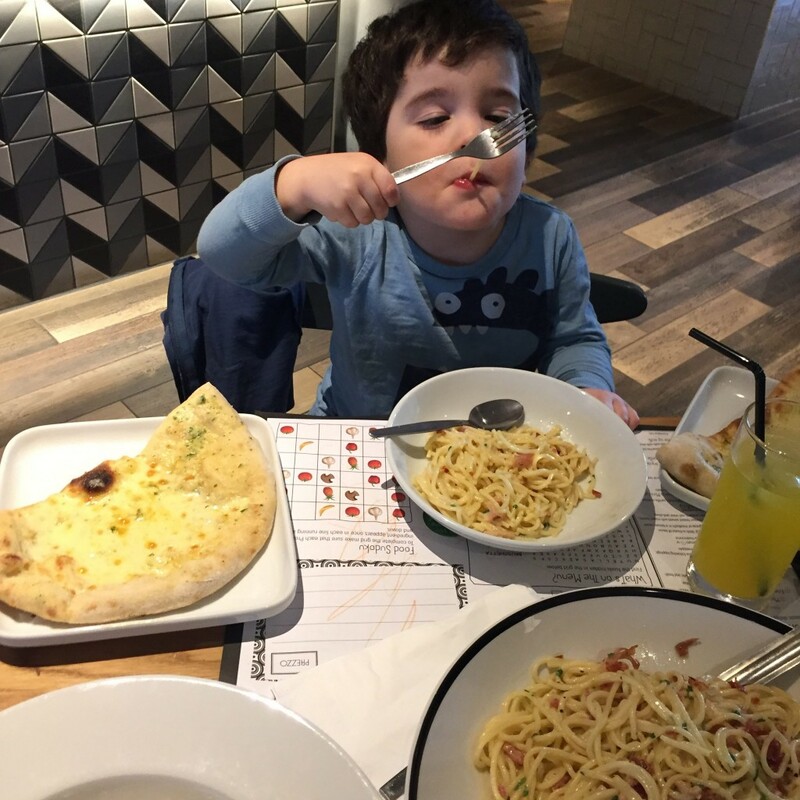 We can’t wait to go back and try some of the other La Famiglia options, we will definitely be adding Prezzo to our list of places to eat as a family.